Cortez reexamines the classic paradox of realism: the painting both as a "window" into an imagined space and as a physical object. Her work challenges the viewers' intellectual curiosity and celebrates the sheer pleasure of beautiful painting. In "Homage to the Creative Spirit," recipient of the 2012 Independent Publishers "Outstanding Book of the Year" award, Cortez plays author, architect, visual journalist, art historian, curator and pundit to help open our eyes to what we might otherwise have overlooked or taken for granted. Each painting presents a specific theme, mixing straightforward cues and obscure allusions, complemented by references to other artists' lives and times. 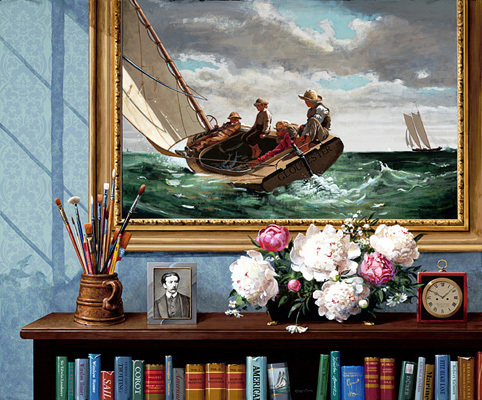 By masterfully presenting iconic works of art in unexpected modern settings, Jenness Cortez inspires us to see differently--to rediscover and revalue our own creative power in everyday life.